It's time to harness the power of paganism and Wicca to improve your health, wealth, and happiness today! 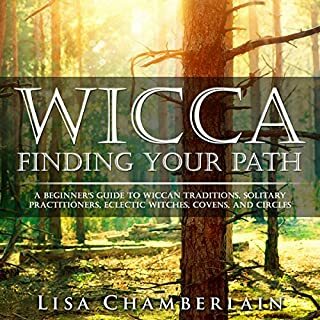 Finding Your Path, by best-selling author Lisa Chamberlain, was created as an orientation to the many options available to newcomers to Wicca: coven membership, joining a more informal Wiccan circle, and solitary practice. 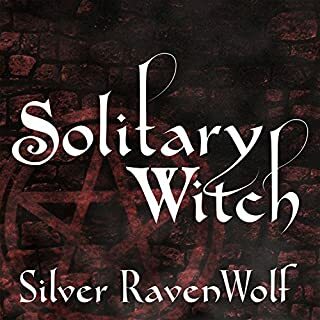 In this audiobook, you’ll be introduced to the wide spectrum of contemporary Wiccan traditions, with tips to help you make well-informed decisions about where you want your journey to take you. 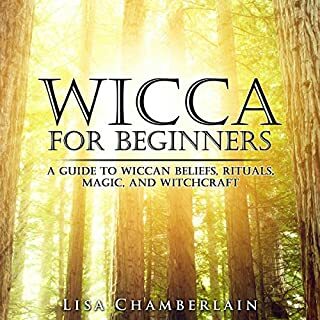 Wondering about Wicca? Look no further. Within this book is a collection of knowledge that will satisfy any type of listener interested in the craft. Whether you are new to Wicca or an experienced witch. 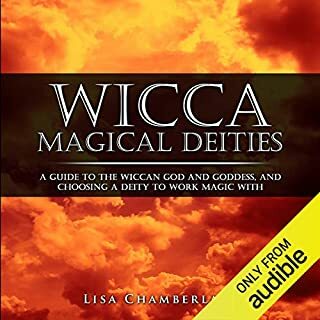 It will bring you insight into the magic of Wicca, its philosophy, its leaders, and its future. Witchcraft, simply put, is the spirituality of harmonizing with the cosmic and earthly forces of the divine. 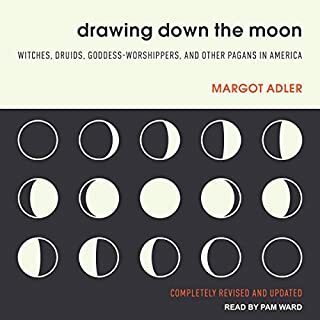 An introduction to Pagan and Wiccan spirituality, the earth-centered tradition that draws its wisdom from the cycles of life and principles of nature. Starhawk, who's shared the principles of Wicca to millions of readers and students, explains it's blessings, spells, and rituals to connect to the Goddess; how to create your own personal practice; ways to cultivate community ritual and celebration; and how to use the essentials of this ancient wisdom in everyday life. Sabbats, or Wiccan holidays, are timed the Earth's rhythms and seasons. Sabbats celebrate the Earth's journey around the sun, also known as the Wheel of the Year, while Wiccans commemorate Sabbats as Turning the Wheel. Wiccans normally celebrate eight Sabbats each year. 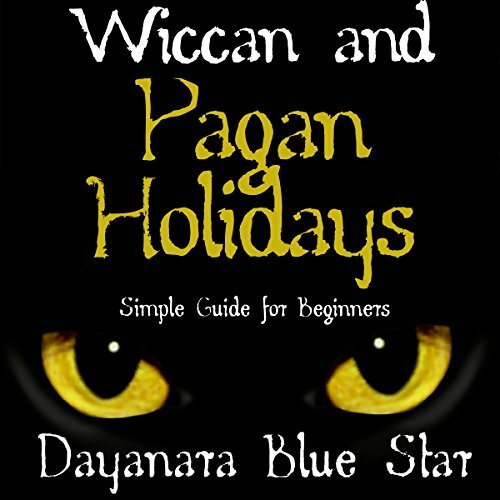 Take advantage of this great opportunity to learn all you ever wanted to know about the Wiccan and Pagan holidays. Listen to learn more! Blessed be! Not sure what I expected for such a short book but there’s so little information in here a quick google would have been better. I feel like I received a lack of content and information versus any kind of primer on anything. this is NOT a bad book. It does indeed have the pagan holidays in it and gives a brief description of them which is great for someone just getting into the craft. for me I wanted a more detailed descriptions on the holidays, what they mean and how to celebrate them. the info in this book can easily be found on the internet with about ten minutes of searching. That being said, I can tell the author does have alot of info and I will be looking for more of thier books and checking out thier Facebook page. 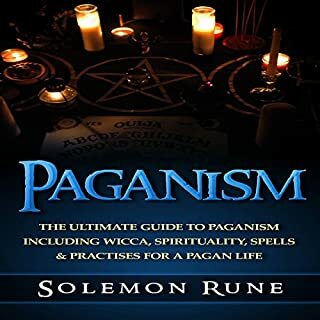 a good all round book of the basics of the pagan sabb ats, traditions and ceremony. easy listening with a soft voiced narrator.